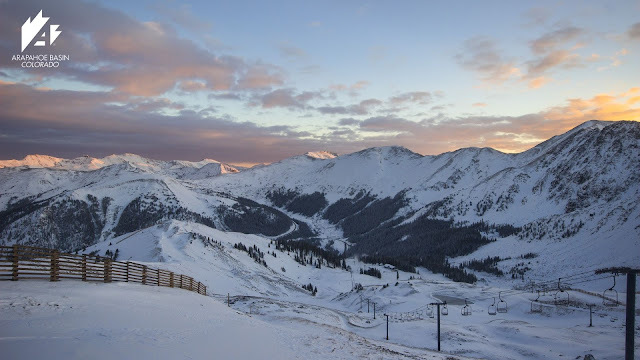 It's official, the season is off to a great early start and it is time to make your ski/snowboard vacation plans! 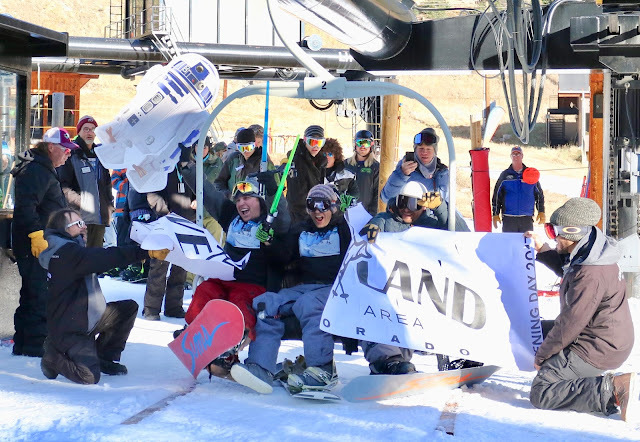 Loveland Ski Area followed on Oct 20 after its team of local and New Zealand professional snowmakers reached the 18 inch base goal. First day downhillers got their jollies on a mile long run with nearly 1000 ft vertical descent. Loveland Ski Area will open for the 2017/18 season on Friday, October 20. “We have been waiting all summer for this and are excited to announce that Opening Day is finally here,” said COO Rob Goodell. “The snow we received in early October has been a tremendous help and our snowmakers have put in a lot of hard work to ensure the first turns of the season are good ones." With great coverage up top, plans were to make snow on the Home Run and lift base first and then extend operations to additional runs. 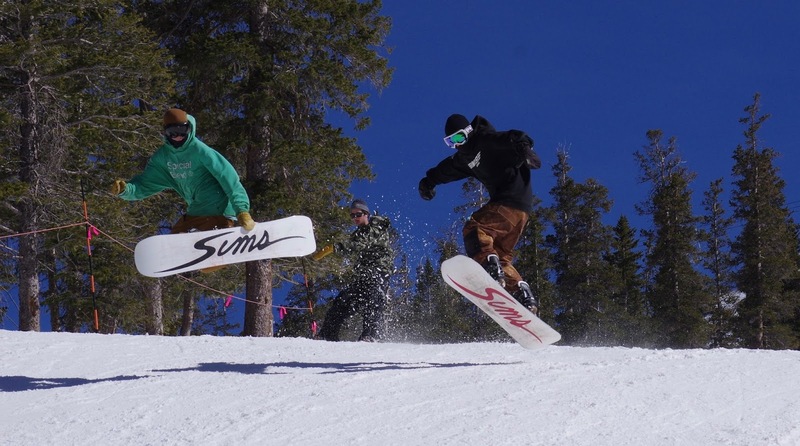 Covering 240 acres of its terrain, snowmaking will continue into early December and the season continues through early May. By the way, I'm writing this from beautiful Banff where there is delightful dusting around town and significant snowfall on the circle of mountain tops. I'm at the fabulous Fairmont Banff Springs for a Travel Alberta Industry Conference where hubby Dr Simon Hudson has been making presentations on travel industry trends and tourism business ethics. I've been getting some great ideas, too, which I will sprinkle into blogs throughout the winter. A great feeling of ski season anticipation in the air here, with nearby Mt Norquay due to open Nov 4 (tentative date) and Sunshine Village Banff and Lake Louise hopefully following Nov 10. Elsewhere snowmaking is underway to ensure timely openings. Next on the early season ski schedule should be Mt Rose Ski Tahoe. 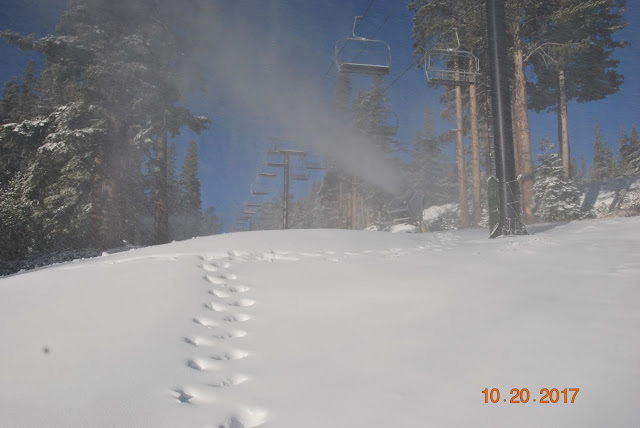 "Snowmaking has started, and we are targeting October 27 for our opening day, weather and conditions permitting," says Mike Pierce, marketing director at Mt Rose. 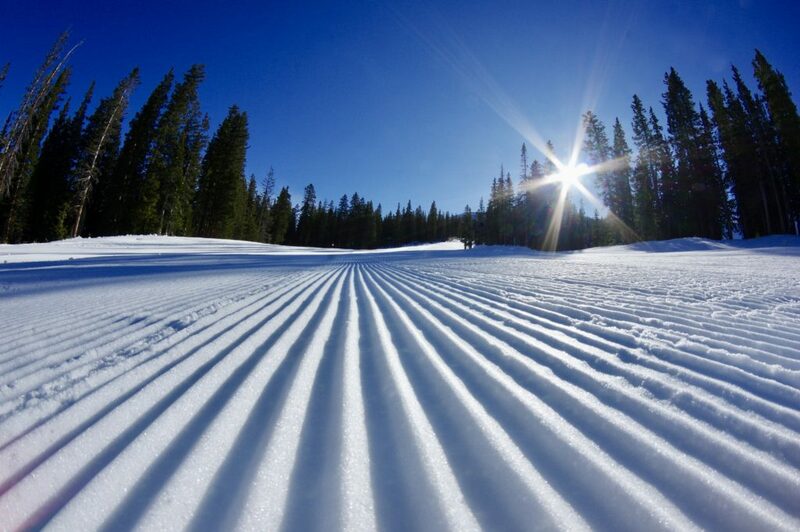 Over the past few years, Mt Rose has made significant investments in its snowmaking capabilities. This year, the resort added snowmaking at the top of the Blazing Zephyr 6 lift, making it possible to make snow on the “Return to Rose” trail. The increased snowmaking ability will allow skiers to access more of the mountain on the Slide Bowl side much earlier in the season. 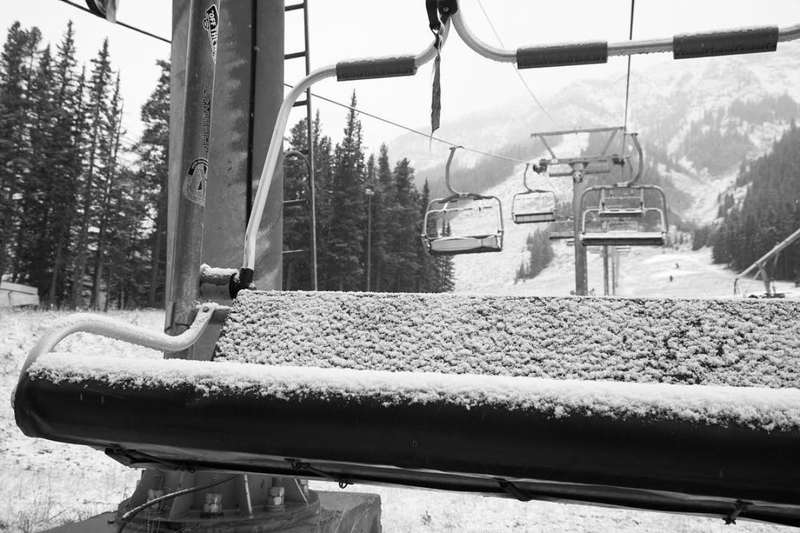 In addition, fixed Pole Cat snow machines were installed in the Enchanted Forest Area just above the Wizard loading station, and on the Lower Lakeview trail, to enhance early season snow coverage and terrain access. 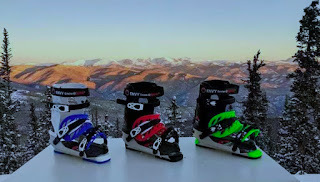 Ever had snowboard boot envy? Wish you could have more comfort while on skis as well as walking around town to the apres action afterwards? Well Envy Snow Sports has come up with a revolutionary boot frame which converts snowboard boots to skis! 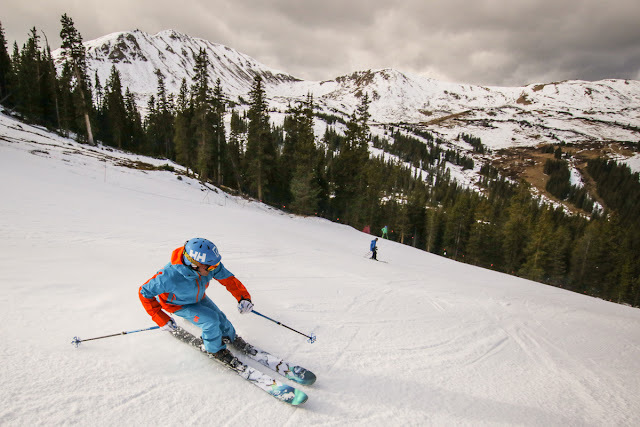 The lightweight frame is compatible with standard alpine ski bindings and its inventors say it provides both support and performance necessary for ski control. Let me know if you are going to try it out this season! 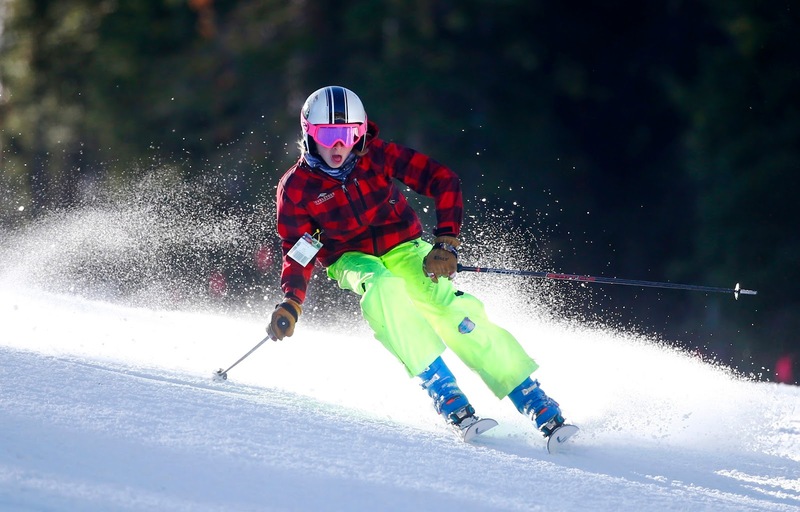 I've got an assignment with Canada's Globe And Mail to write about Mountain Mindfulness - focusing on ski instruction/guiding with a mindfulness and meditation component. Know anyone doing this? If so, send me an email at: louise.hudson2011@gmail.com. Thanks! If you don't see your fave ski hill here, please let me know the opening date for inclusion next time - thanks! 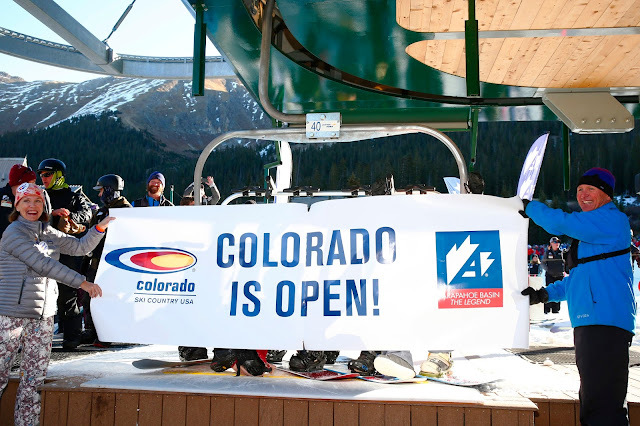 There's no better news in the Fall than ski resort openings! First teaser in North America this year was Mt Bachelor, Oregon which launched temporarily on September 23, following a 12-inch snowfall. A walk-up terrain park was set up in the base area as well as scenic snow-viewing chairlift rides. 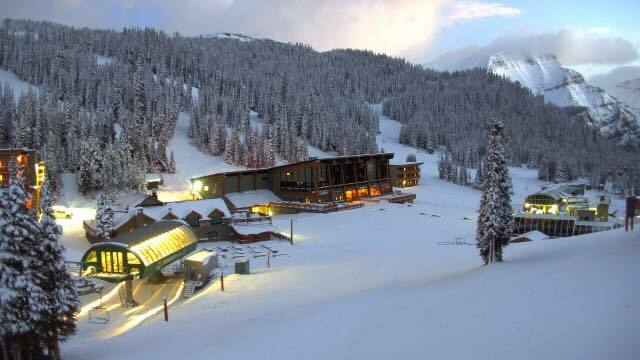 First to open for early season weekend skiing was Timberline Lodge & Ski Area, Mt Hood, Oregon on Oct 8. The Palmer Express was their first lift to open, providing terrain for advanced skiing/riding only. Typically Timberline, near the top of the Mt Hood volcano, opens in early November until Labor Day. With 1425 acres, 41 trails and nine lifts, the resort boasts the longest vertical in the Pacific Northwest - 3,690 ft down to base from the top of the Palmer chair. A passenger snowcat expands the resort further for advanced and expert skiers. Marketing manager, Emily Stoller-Smith is anticipating great skiing this weekend: "On the heels of two feet of snowfall, it's going to be a bluebird weekend!" Anyone called Linda reading this? Leading British ski tour operator Inghams is looking for guests called Linda to fill their new winter chalet - called Chalet Linda - in the Austrian resort of Kitzbühel. A special discount of £125 per person is on offer if Lindas book their ski holiday before Thursday 30 Nov. For more info, visit www.inghams.co.uk/ski-holidays/ski-resorts/austria/kitzbuehel-alps/kitzbuhel/chalet-linda or follow @InghamsSki. It'll be amusing to find out how many Lindas actually take up this offer and how much confusion it causes in the chalet when everyone answers to the same name! 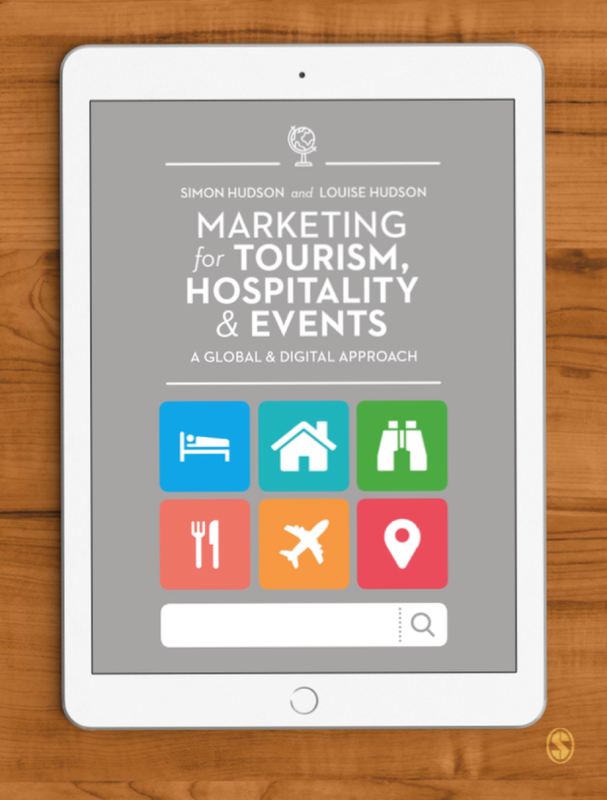 Framed within basic marketing principles, Marketing for Tourism, Hospitality & Events, by Louise and Simon Hudson, highlights the global shift in tourism demographics today, placing a particular emphasis on the role of digital technology and its impact on travel products and services. 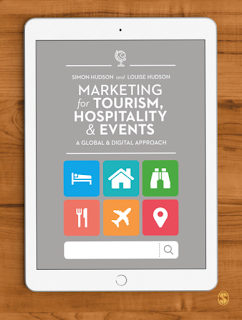 The book is complemented by a companion website featuring a range of tools and resources for lecturers and students, including PowerPoint slides, an instructor manual, a test bank of multiple choice questions and author-curated video links to make the examples in each chapter come vividly to life. Discount of 15% for direct orders via www.goodfellowpublishers.com - simply enter the code CUSTSERV17 at checkout (valid until 12 Nov 2017). · New market trends - including emerging markets and the luxury family market. Sample files of all chapters are available. See sample pages here.